I know my job is awesome, when I get boxes filled with all of these goodies in the mail! Plaid has a fantastic new line of Martha Stewart jewelry items available at Michael's. 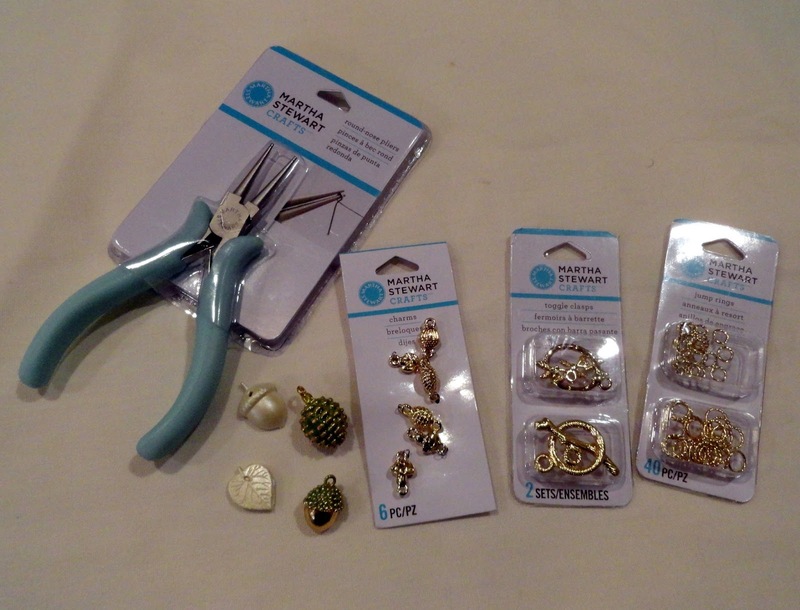 I actually have spent the whole past week playing with each of these items in the kit and making all kinds of new custom jewelry for myself. 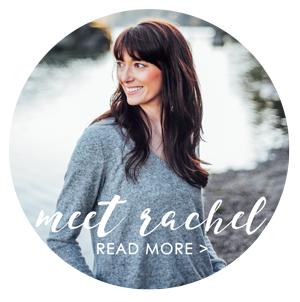 I love the product line, and know you will too! 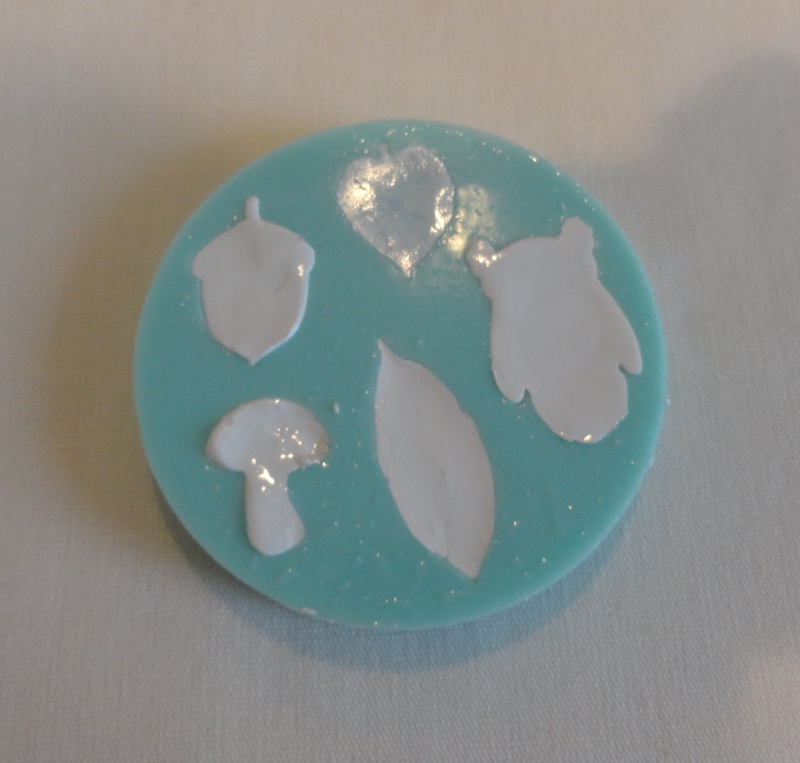 I was excited to try out the epoxy clay and woodland mold. 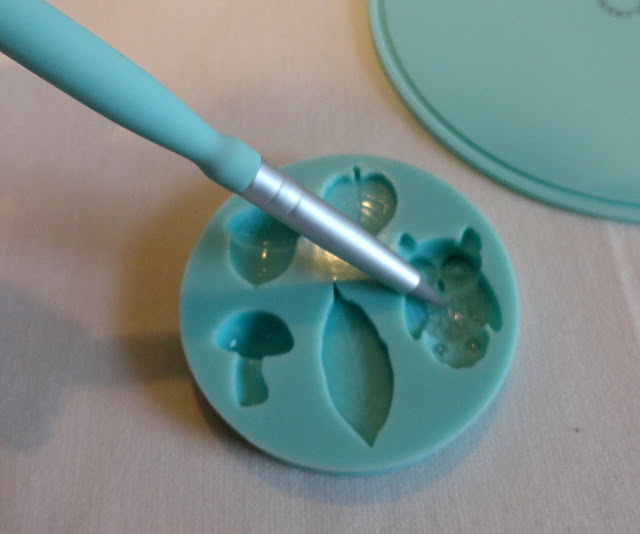 Use your silicone brush and brush olive oil in the recessed areas of the mold. 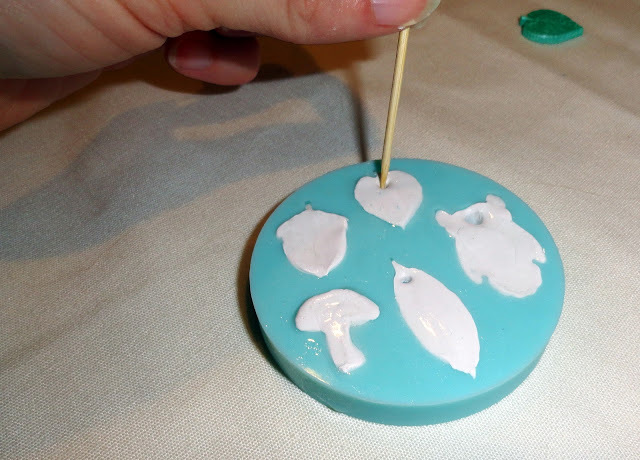 Rub olive oil on your fingers to make the epoxy clay easier to work with. 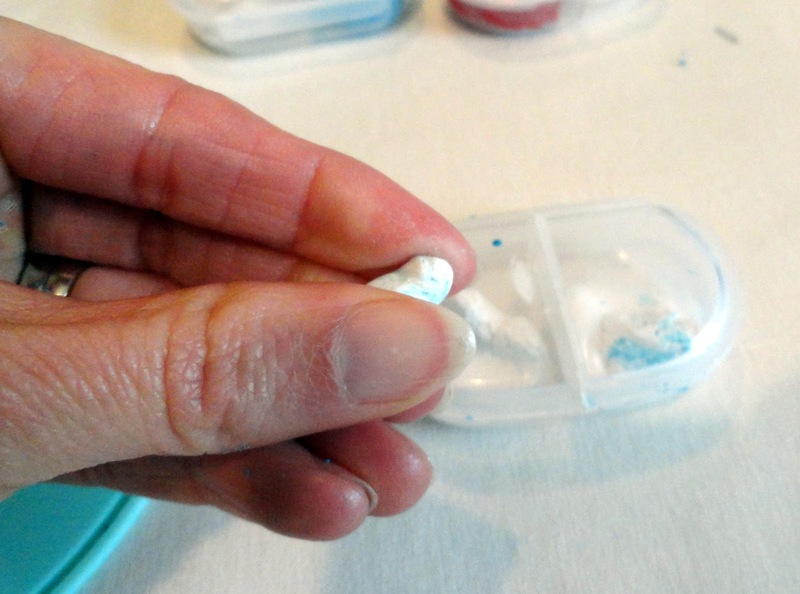 Mix equal parts of the epoxy clay and the activator together by pinching off a small amount of each piece and rolling them together until fully blended. Press clay into the silicone mold. Clay should be level with the top of the mold. Smooth the backs of the clay with olive oil and your finger to get out any lines and bubbles. 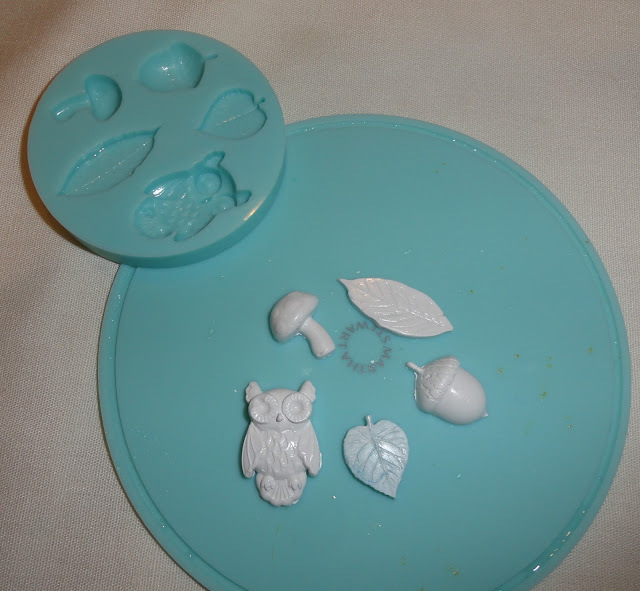 Here is the silicone mold completely full with clay. 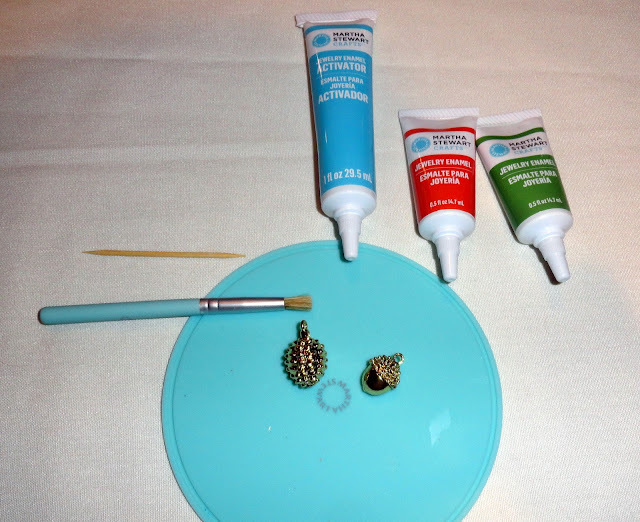 If you want to use your clay pieces as pendants, poke a hole in the top of them with a toothpick. Clay pieces take about 24 hours to dry. 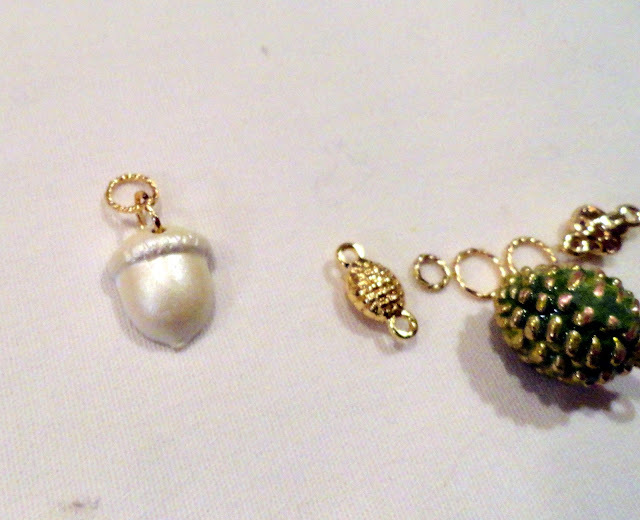 While waiting for the clay pieces to dry, I used Martha Stewart jewelry enamel on these two gold acorns that came in my box of goodies. Mix two parts activator to one part enamel color on your work mat. 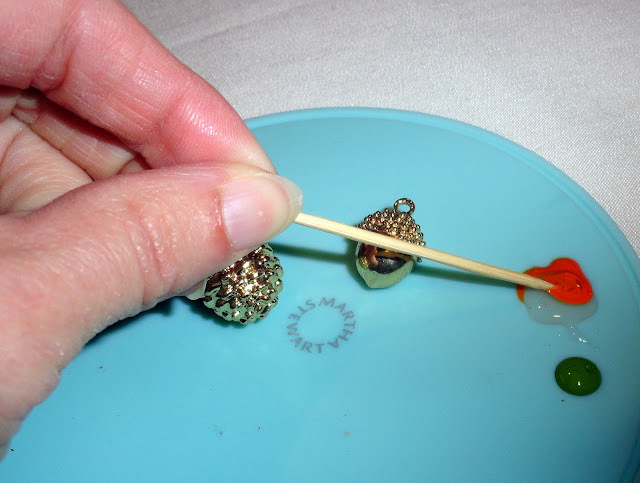 Use your toothpick to swirl together until a uniform color is achieved. 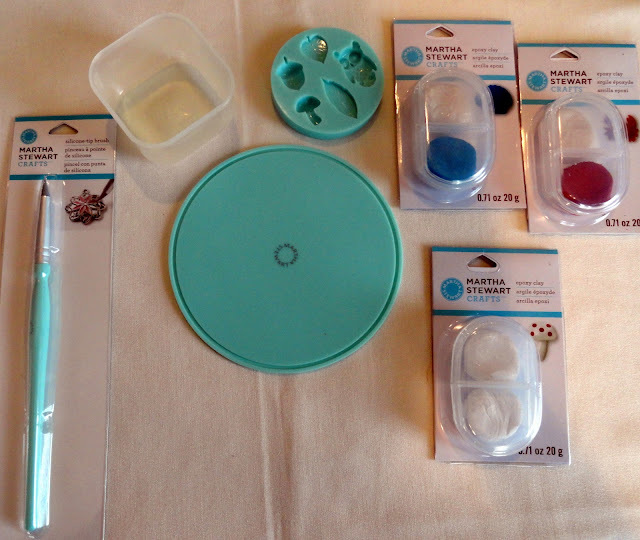 If you want a more translucent color, you can apply your enamel immediately after mixing. If you want a more opaque color, let your mixture thicken for 2-3 hours before applying. 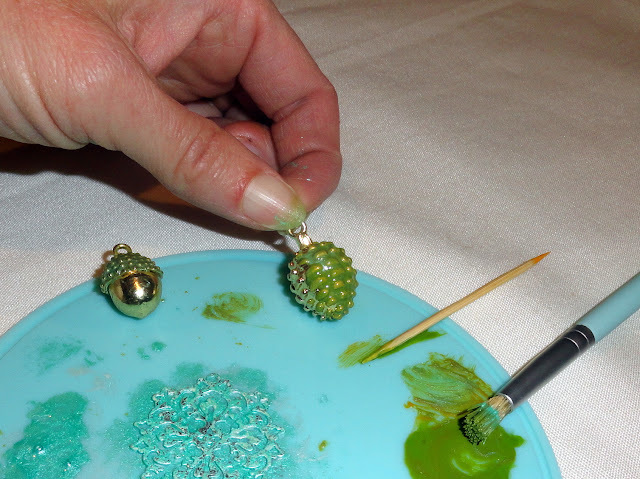 The thicker mixture is better for curved surfaces, and since an acorn is curved, I let my enamel thicken before applying it. Use your small brush to apply the enamel. After 24 hours, my clay pieces were finished! They pop right out of the mold. I used a light gold glaze to paint these pieces. When you use the glaze, you don't need an activator. However, if you want to achieve an antique finish, you can wipe the piece that you are working on with a clean rag while still damp. 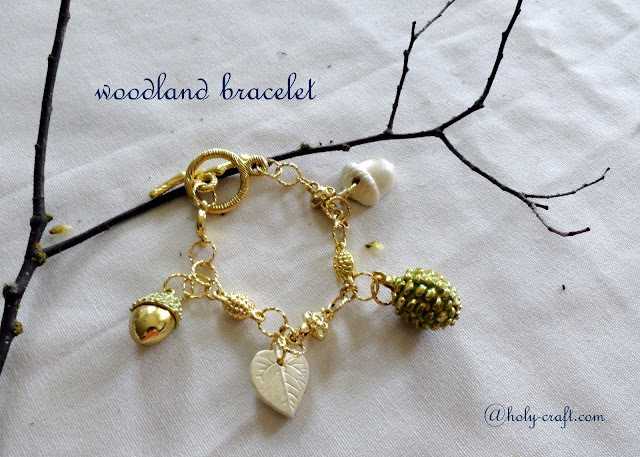 I gathered a few of my jewelry making supplies from my kit to finish off my custom bracelet. I laid all of my pieces out and played with the pattern until I found a pattern that I liked. I used my round nose pliers to open the jump rings and connect the pieces together. I used two jump rings to hang the epoxy clay charms and the charms that I painted with enamel. 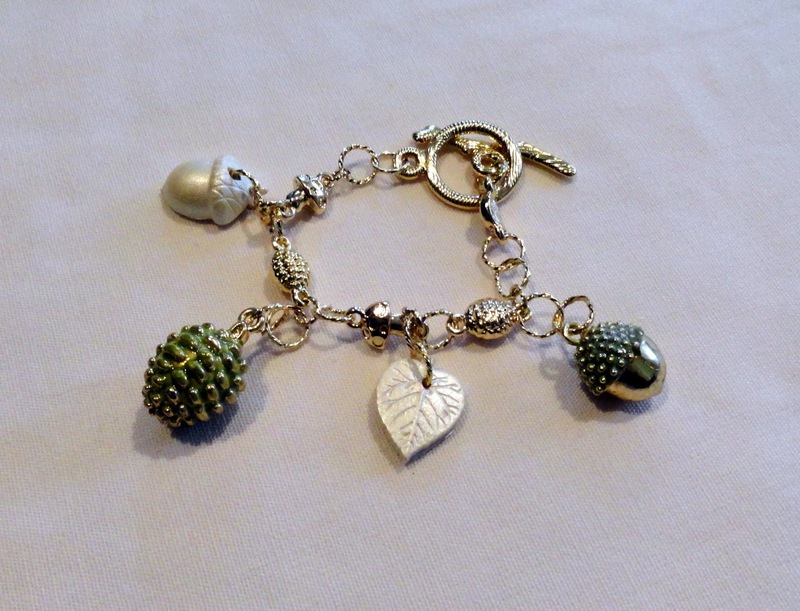 This is my completed bracelet. 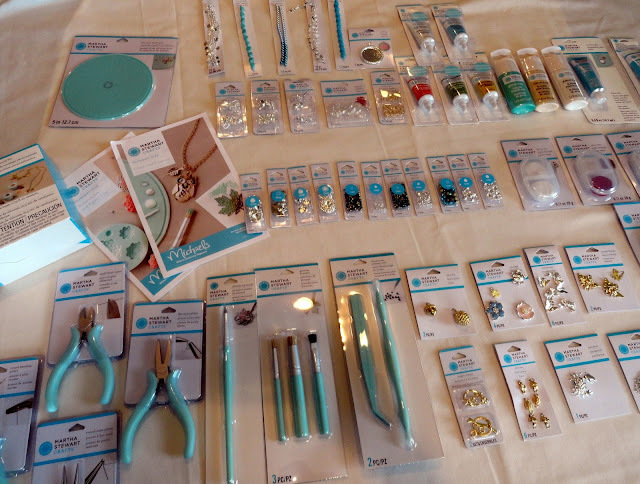 It was so much fun to try out all kinds of new jewelry making techniques. I know I won't look at a plain piece of jewelry the same way anymore! And of course you saw that huge box of stuff I got. I'm not finished playing around yet! Stay tuned for more Martha Stewart jewelry projects! Need more inspiration? 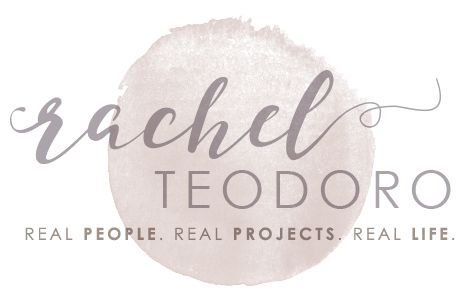 Don't forget to follow Plaid on Facebook, Twitter and Pinterest! I did receive a HUGE box of products as part of this Plaid campaign in conjunction with a partnership with Blueprint social. As always, all opinions are 100% mine. Wow. Nice work with those tiny molds. Your little creatures turned out great. Creature as in owl. I just realized the rest are nuts and leaves. Just amazing Rachel. Love it and have pinned it! How cool. 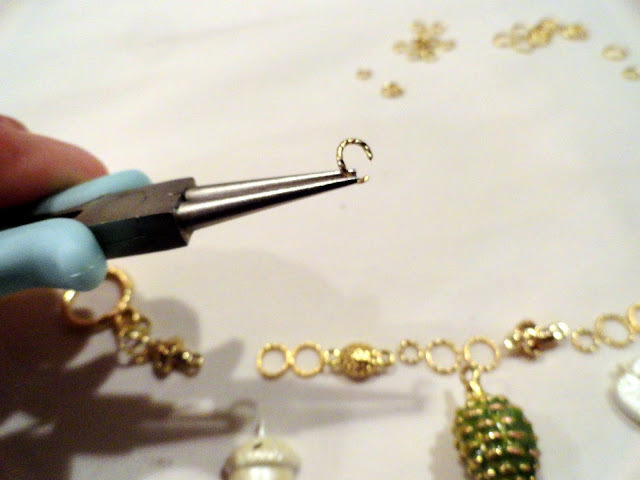 I love making jewelry. I did not know Martha made jewelry. Some of her cookware items are made cheaply. Is it the same for her jewelry? Wow, this is a very nice bracelet you have to make! i like that! thanks for sharing! I really like this! 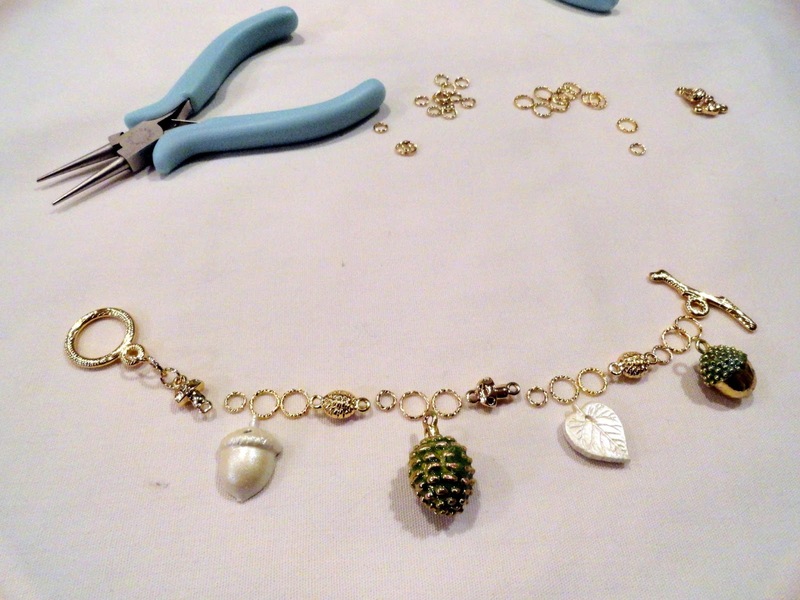 It is so pretty and seems to be really easy to do...not over complicated Jewelry.